How Is the Dallas Market Doing? Today Mindy and I wanted to discuss the state of our local market and what it means for your real estate transaction. Search the entire MLS for homes located in Dallas-Fort Worth Texas Real Estate. Robbins Real Estate Group is a boutique firm focused on home sales in Dallas, Park Cities, Richardson, and the North Dallas suburbs. The company is proudly owned and operated by the husband and wife team of Jay Robbins and Mindy Robbins. 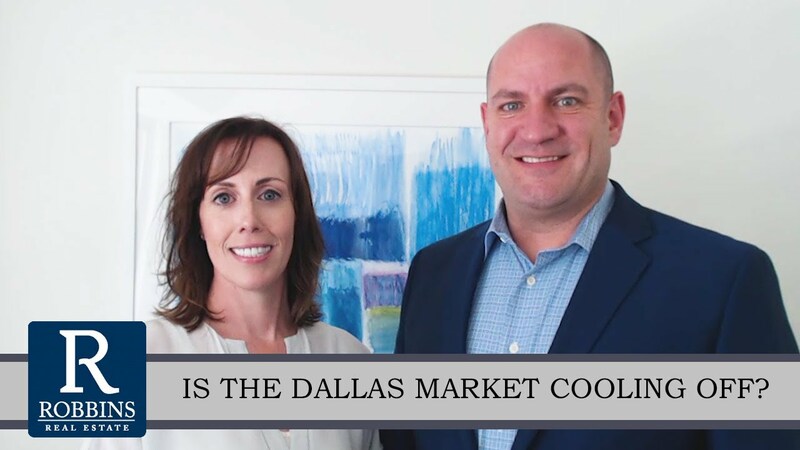 If you are looking for a real estate broker in Dallas, Park Cities, Richardson, or the North Dallas suburbs, call the company that will exceed your expectations. Call Mindy and Jay Robbins with Robbins Real Estate Group.